Waiting on Wednesday is a meme hosted by Jill of Breaking the Spine! 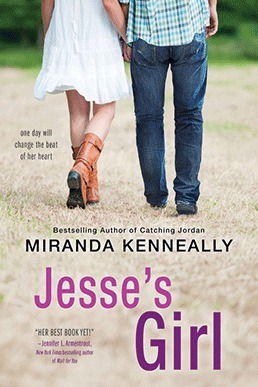 This week I'm eagerly awaiting the release of two books: Jesse's Girl by Miranda Kenneally and Rivals in the City by Y.S. Lee. I have thoroughly enjoyed every book that Miranda Kenneally has released and I always look forward to reading more from her Hundred Oaks series. Here's hoping we see some cameos of characters from the previous books! Everyone at Hundred Oaks High knows that career mentoring day is a joke. So when Maya Henry said she wanted to be a rock star, she never imagined she’d get to shadow *the* Jesse Scott, Nashville’s teen idol. But spending the day with Jesse is far from a dream come true. He’s as gorgeous as his music, but seeing all that he’s accomplished is just a reminder of everything Maya’s lost: her trust, her boyfriend, their band, and any chance to play the music she craves. Not to mention that Jesse’s pushy and opinionated. He made it on his own, and he thinks Maya’s playing back up to other people’s dreams. Does she have what it takes to follow her heart—and go solo? Last year I participated in the Victorian mystery challenge which was a lot of fun and I discovered the Agency series. I devoured each book and was hoping a final book in this series would come out. 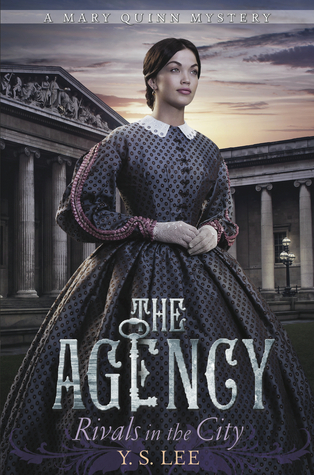 If you are looking for a fun, historical mystery with fantastic characters do give the Agency a try. Mary Quinn has a lot on her mind. 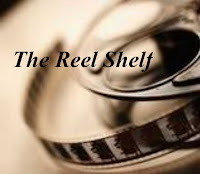 James Easton, her longtime love interest, wants to marry her; but despite her feelings, independent-minded Mary hesitates. Meanwhile, the Agency has asked Mary to take on a dangerous case: convicted fraudster Henry Thorold is dying in prison, and Mary must watch for the return of his estranged wife, an accomplished criminal herself who has a potentially deadly grudge against James. Finally, a Chinese prizefighter has arrived in town, and Mary can’t shake a feeling that he is somehow familiar. With the stakes higher than ever, can Mary balance family secrets, conflicting loyalties, and professional expertise to bring a criminal to justice and find her own happiness?